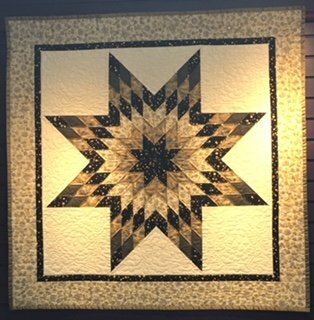 The Lone Star quilt block is one of the most recognizable and oldest quilt patterns. Even though this class is intended for intermediate to advanced quilters, don't be scared away. You need to be confident in sewing an accurate 1/4" seam allowance, using a rotary cutter, working with bias edges, and pressing without distorting the fabric. We will also be learning to make "Y" seams. Come in and see Sandy's sample; it truly is "Radiant"!